The idea was to have contractors analyze consumer data -- potentially including dating profiles and shopping histories -- on fliers who apply for the voluntary "Pre✓” program. 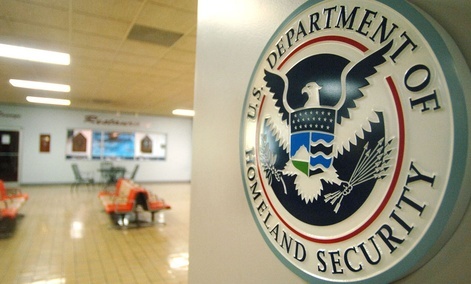 Pre✓, open to all U.S. citizens, lets passengers breeze through dedicated checkpoints without removing shoes, belts, laptops or TSA-compliant liquids after paying an $85 fee and proving their identities. 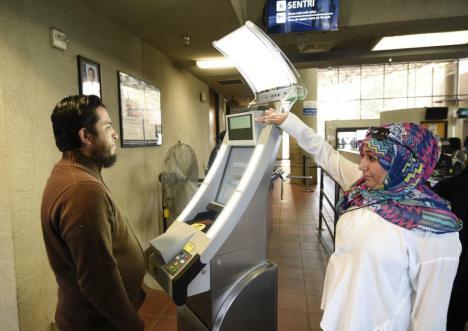 The agency got as far as watching "prototype implementations" but decided against trying a system out on actual passengers, according to a March 4 notice published in a government acquisition database. Before issuing a contract, TSA had wanted to evaluate paper proposals, examine models and test the systems in real-world situations, according to a January 2013 market survey. The behind-the-scenes implementations ended Jan. 31. Now TSA intends to go back to the lab. "Following a detailed review of the results, the government has determined that Phase III – live prototyping - will not take place," agency officials said. "Instead, the government will continue to explore proposed solutions in a non-operational environment to perform analysis and information gathering." Big brother won't be parsing Web surfing habits of fast lane candidates until at least mid-summer, according to the notice. The Homeland Security Department will conduct more analysis and research "to define standards for future third party solution applications,” TSA officials said. But officials added they have not made up their minds whether to acquire such a tool in the future. A TSA spokesman on Friday afternoon said no decision has been made about hiring a company to vet Pre✓ applicants, but the agency would like to do so. The idea is to provide other options for passengers who want to participate in the so-called trusted traveler programs without applying directly through TSA. Some privacy advocates expressed disappointment that TSA is still contemplating the practice. The concern is that conclusions drawn by splicing commercial data might not be accurate or fair. There is speculation that the technique could amount to discriminatory profiling of, for instance, gun rights advocates or researchers studying Muslim culture. "We don't want to go down the road of being scored and measured, and have to worry that every step we take or every click we make will have some sort of effect on us down the road,” Stanley said. The fiscal 2015 budget the Obama administration sent Congress on Tuesday describes Pre✓ as a cost-cutting measure. "By moving away from a 'one-size-fits all' approach to passenger screening, TSA will improve the customer experience while enhancing the efficiency and effectiveness of its screening operations," Obama's funding request states. 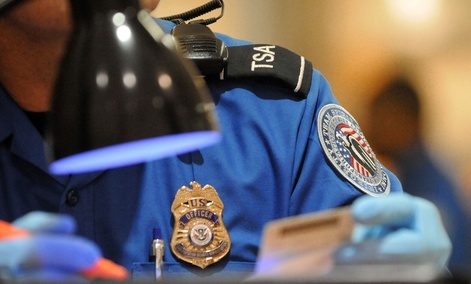 “In 2015, risk-based security will yield over $100 million in staffing efficiencies for TSA. The budget reinvests a portion of this savings to fund the tools and technology needed to support and expand these programs." As of January, more than 30 million passengers had used TSA Pre✓ at more 100 airports across the country, according to agency statistics. This story has been updated with TSA comment and ACLU reaction. Départ en montagne russe pour la saison du parc d'attractions La Ronde. Sa décision d'utiliser un processus de lecture des empreintes digitales soulève de nombreuses craintes quant à la protection des données personnelles. Le système est offert aux détenteurs de passes de saison qui veulent accélérer leur entrée sur le site. Le porte-parole Jules Hébert assure que les données sont bien protégées : « on identifie des points sur vos doigts, on génère une lecture mathématique et c'est cette donnée-là qu'on stocke dans nos serveurs, pas l'empreinte ». Ceux qui ne veulent pas utiliser le lecteur peuvent se procurer une passe avec photo, moyennant une attente un peu plus longue. du 8 au 12 décembre 2014 : La Bête Argent avance ses griffes pour nous mettre encore plus en esclavage. Ainsi Mastercard veut supprimer le code à 4 chiffres de votre carte... "MasterCard souhaite remplacer la validation du paiement par le code PIN par une autre technique ...il suggère d'utiliser "les données enrichies des titulaires de carte pour générer moins de demandes de code en point de vente." Une façon alambiquée de parler des données personnelles permettant de vous identifier. Et d'ajouter:" Si toutefois une authentification plus poussée est nécessaire, les titulaires de la carte pourront s’identifier grâce à mot de passe temporaire ou à une empreinte digitale, plutôt que de garder en mémoire un mot de passe permanent"". (NaturalNews) In the digital age, when governments including ours are increasingly concerned about waging the next war, in large part, via the Internet, Americans' constitutional right to privacy seems a quaint anachronism. Successive presidential administrations, as well as Congress, appear to have ceded complete control to the intelligence community when it comes to deciding not when, but if, such protections are even warranted, and all in the name of "national security." What's worse, though, is that American technology companies appear ready, willing and able to assist in the constitutional usurpation; one such company is Apple. 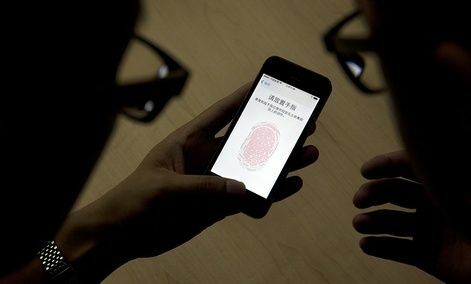 According to Business Insider, the tech giant and media company is considering a new technology that would enable storage of customers' biometric data, like fingerprints, in the iCloud, ostensibly to enable "next-generation" payment methods. A new patent application, found by Apple Insider, says "[f]inger biometric sensor data synchronization via a cloud computing device and related methods" would be stored, with one possible use being a means to authorize a "financial transaction." "Simply put, this means Apple is considering using its cloud hosting service iCloud to store customers' fingerprints, so they can be synced to other devices when required -- such as to pay for a purchase," Business Insider reported. All that may "be about to change"
The name of Apple's biometric verification app is Touch ID; it was first introduced, you may recall, with the iPhone 5S as a security mechanism. Users were instructed to press a finger on the home button, so they could unlock their phone for use. By doing so, the phone verified a users' identity. Also, the Touch ID app could be used to make purchases via Apple Pay. Apple has previously emphasised the security measures used for securing Touch ID biometric data, including encrypting and storing it in a "Secure Enclave" on the A7 chip. "Other apps never access your fingerprint data," their website says. "It's never stored on Apple servers, and it's never backed up to iCloud or anywhere else." However, if the proposed measure is implemented, all that may be about to change. Worse, iCloud's security reputation has been tarnished already. In 2013, the intimate photos of scores of high-profile celebrities were hacked and then leaked on the Internet in a scandal known as "CelebGate." Apple's iCloud service, Business Insider notes, was identified as being the source of the photos. Also, as reported by a number of media outlets, Apple was one of the many tech companies that cooperated with the National Security Agency's "Prism" program, which is able to access user data. Initially, most tech companies, including Apple, denied that they cooperated with national security officials to permit snooping of their users' data. But The New York Times reported in June 2013 that officials from several tech firms, including Apple, did indeed negotiate for cooperation. "This patent is in keeping with what we know of Apple"
Now, Apple seems ready to make it easier for hackers -- or the government -- to continue tracking users. Business Insider noted that it is important to point out that Apple files thousands of patents, in a bid to head off competitors, that never actually make it into products. However, "this patent is in keeping with what we know of Apple's intentions, particularly its pushing of Apple Pay," the news site reported.
. FBI launched the nationwide facial recognition service in 2012. 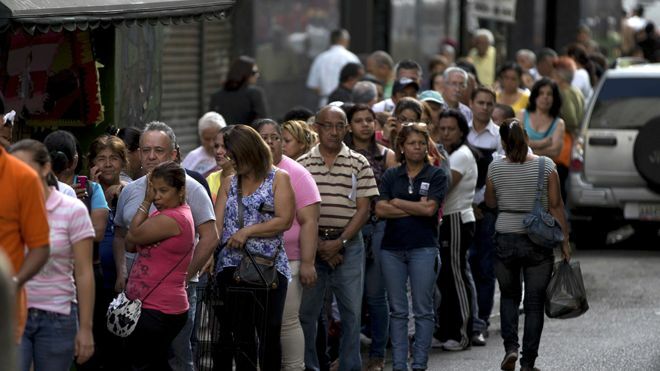 Venezuelans face extreme shortages with long line and strict quotas In Venezuela, the new year has brought little change to the scarcity problem that is becoming alarming: long lines across the country to buy even the most basic products. Are you looking forward to Windows 10? Many people are thanks to the resounding disappointment Windows 8 seemed to be with the masses. The last Windows version I used was 7, and I have to say I thought it ran smoothly and I don’t remember any problems with it. Windows 10 is making some big changes, however, starting with the way you login to the computer in the first place. Forget passwords – Windows 10 will apparently let you login with a scan of your face. In other words, it will use biometric data to unlock your computer. Apart from a scan of your whole face, it will also reportedly allow you to login with a retinal scan as well as a read of your fingerprint(s). This feature will be known as Windows Hello. Microsoft is doing this due to the ease with which passwords are hacked, and while no system is completely foolproof, this move certainly seems to be a step in the right direction. I currently use a Macbook, and without the KeyChain feature, I’m not sure what I’d do about all of the passwords I have; it really is unfortunate we are now so dependent upon passwords that things could really get messed up if we forget one of them. Apart from the biometric data feature, Cortana will also be available as a digital assistant. The release date of Windows 10 is still unknown, but hopefully it’ll be sometime this year. Are you excited for the new operating system? 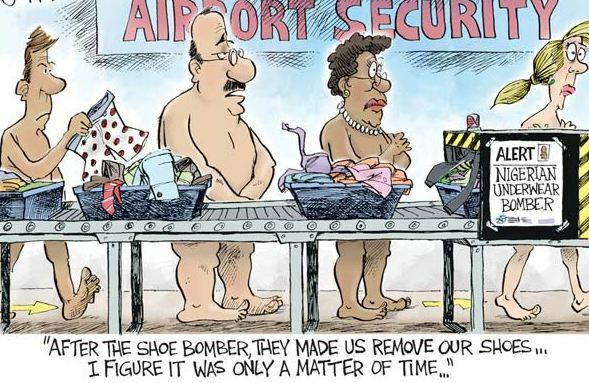 Frequent flyers know the drill well: take off your shoes, surrender your tweezers, and pack your shampoo in those little plastic baggies before lining up for the naked body scanners. How about lifting your niqab? Apparently not. Lilley and Bryn Weese write that Flynn’s communication with Air Canada and his video posting have resulted in a threatened lawsuit from the airline. As for answers from the company about security procedures, their response reveals holes in Canada’s air security. Air Canada says it is capable of checking identification in a private room away from the check-in counter, but said the real responsibility for security measures lies with CATSA, the Canadian Air Transport Security Agency. CATSA. disagrees. Greg MacDougall, a spokesman for CATSA, told QMI that their guards are primarily looking for metal, weapons, or other banned material, not ensuring that veiled faces match passport photos. “We don’t have concerns with that. We have concerns with the fact if the person has any metal under their clothing,” MacDougall said. Frontline workers for several airlines say that any checks, if they happen at all, would likely happen at the check-in desk, not at boarding or security. Most airports, however, have wide gaps between where baggage is checked and the secure portions of the airport. Transport Canada says there should be no confusion: “The airline must be able to verify the identity of all passengers before they are allowed to board,” the department said in a written statement. Jama, a Somali national with a long criminal record, was wanted in Britain for the 2006 murder of police constable Sharon Beshenivsky. As police closed in to arrest the career criminal, Jama was able to escape back to Somalia by wearing a full veil and boarding a flight at Heathrow airport. Harris’s call for lifting the veil is backed up by two Muslim groups often at odds with each other, the Muslim Canadian Congress and the Council on American-Islamic Relations, Canada. “Women who wear the niqab are not constrained by the religious belief from removing their veil for legitimate reasons, and security is one of them,” said Ihsaan Gardee, executive director of CAIR-CAN. Gardee admits that Canadian officials may be reluctant to deal with this issue head-on due to concerns about political correctness. “It’s something that needs to be addressed,” Gardee said. 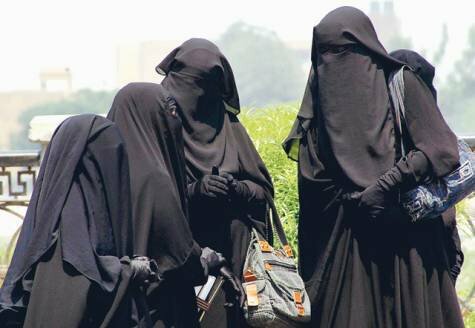 Gardee says it would be preferable if female staff were able to conduct any screening that involved removing the veil but adds that if female staff are not available, the women must still be forced to remove their niqab. Posted: Sat 9 May - 08:07 (2015) Post subject: FLASBACK : "POURQUOI LES FRANCS-MACONS COLLECTENT-T-ILS L'ADN DE NOS ENFANTS? " FLASBACK : "POURQUOI LES FRANCS-MACONS COLLECTENT-T-ILS L'ADN DE NOS ENFANTS? " Pour en savoir plus sur le pourquoi, regardez de plus près sur ce qui se passe au niveau du programme global de transhumanisme. Programme de la bête en partenariat avec les loges secrètes. TAMPA — Fingerprints are so 20th century. For special operations forces conducting midnight raids in places like Pakistan or Syria, DNA is becoming the gold standard. On Wednesday, representatives from the U.S. Special Operations Command revealed that they were testing two rapidDNA readers in forward locations. The operators feed in a DNA sample, and the reader compares it against a database that matches DNA to identities. The machines weigh some 60 pounds, so they aren’t small. And they aren’t cheap: each costs about $250,000. But they can give a result in 90 minutes, a process that used to take weeks. The devices are the RapidHIT 200 from IntegenX, a California-based company, and the DNAscan from Massachusetts-based NetBIO. Both are about the size of a copier, but compared to an entire DNA lab, require far less manpower. A single operator can get quick results. “In the past, when we captured DNA, the guy would put it in an envelope, send it back to the States and two or three weeks later, he would get a result on who it was that he had. By then, he moved on to other missions and he had forgotten who the guy was,” said Fitz. What will they use them for? Verifying the identity of targets, either before raids or after the fact. Think back to the Osama Bin Laden raid, where the terrorist mastermind’s identity was confirmed via DNA analysis, according to documents leaked by Edward Snowden. In the future, virtually all terrorist suspects and insurgents killed by special operations teams could receive the same treatment. The private market is actually full of interesting DNA-verification equipment. But most gear is too big, expensive, and delicate — hardly “designed for that forward-deployed location,” said Fitz. Ultimately, he wants a rugged, battery-powered DNA reader the size of a cellphone, which will allow special operations fighters to “collect DNA right there on the site.” It should connect to a database to allow verification on location as well. Such a device might be available for field-testing around 2019 or 2020. “It’s a ways out” said Benji Hutchinson, senior director of federal business for MophoTrust, a company that markets the IntegenX. It would “require a major lift,” he said. 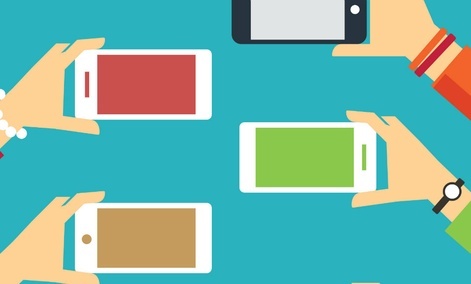 Shrinking the technology is just one obstacle to a hand-heldDNA matching system. 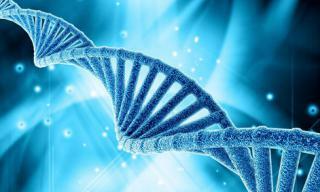 Perhaps more important is growing the database of DNA samples to match against. During the height of U.S. operations in Afghanistan, the military fielded a device to take fingerprints, iris scans, and photos of people with whom troops came in contact. It was called the Biometrics Automated Toolset, and its data went on to populate the Defense Department’s Automated Biometric Identification System. “When we first went out with fingerprints we got about a 5 percent match rate. Now we’ve populated the database, so we get 40 percent match,” said Fitz. He hopes DNA matching will show the same rapid improvement. “You’ve got to start somewhere,” he said. At checkout, you'll be asked to hold up your phone and snap a photo. MasterCard's thinking? It's easier than remembering a password. "The new generation, which is into selfies ... I think they'll find it cool. 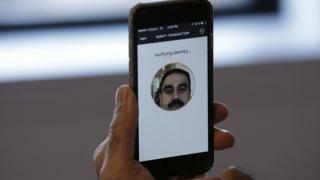 They'll embrace it," said Ajay Bhalla, who's in charge of coming up with innovative solutions for MasterCard's security challenges. This is MasterCard's way of cutting down fraud. Currently, customers can set up something called "SecureCode," which requires a password when shopping online. This stops credit-card-number-stealing hackers from actually using your card on the Web. It was used in 3 billion transactions last year, the company said. But passwords get forgotten, stolen, or intercepted. So, banks are following Apple's lead. The iPhone's fingerprint scanner started a security revolution in 2013. Apple Pay showed that customers are willing to use biometrics to prove their identity. MasterCard (MA) will launch a small pilot program that uses fingerprints -- but also facial scans. It'll be a limited experiment involving 500 customers. But, once it works out all the kinks, MasterCard plans to launch it publicly sometime after that. To pull this off, MasterCard said it has partnered with every smartphone maker, including Apple (AAPL, Tech30), BlackBerry (BBRY, Tech30), Google (GOOGL, Tech30), Microsoft (MSFT, Tech30), and Samsung (SSNLF). The credit card company is still finalizing deals with two major banks, so it wasn't ready to say whose customers will get this first. You have to download the MasterCard phone app to use the feature. MasterCard said a pop-up will ask for your authorization after you pay for something (the company did not demonstrate a working version to CNNMoney). If you choose fingerprint, all it takes is a touch. If you go with facial recognition, you stare at the phone -- blink once -- and you're done. MasterCard's security researchers decided blinking is the best way to prevent a thief from just holding up a picture of you and fooling the system. MasterCard said it doesn't actually get a picture of your finger or face. All fingerprint scans will create a code that stays on the device. The facial recognition scan will map out your face, convert it to 1s and 0s and transmit that over the Internet to MasterCard. Bhalla promised that MasterCard won't be able to reconstruct your face -- and that the information would transmit securely and remain safe on the company's computer servers. This makes some cybersecurity experts uncomfortable. They prefer that your data stay on your phone. "I understand why they'd want that data, but no, I do not like it," said Robert M. Lee, co-founder of consulting firm Dragos Security. "From a privacy aspect it's awful -- but from a business perspective, I don't understand why they'd accept that risk." Keeping this kind of information in one location makes it more tempting to hack. But there's some faith that MasterCard can adequately protect it. "They're storing an algorithm, not a picture of you. And I'm sure they're doing the appropriate stuff to guard it," said Phillip Dunkelberger, who runs Nok Nok Labs, a company that creates technology that authenticates people. MasterCard is only at the testing phase, company representatives noted. It might end up keeping facial scans on the device in the long run. It doesn't end here. Bhalla said MasterCard is also experimenting with voice recognition, so you'll be able to simply approve an online transaction by speaking to your phone. MasterCard is also working with a Canadian firm, Nymi, to develop technology that will approve transactions by recognizing your unique heartbeat. That means no interruptions. So, up next: shopping with a fitness bracelet? A video from Alcatel-Lucent demonstrating mobile facial recognition technology that would be used with the FirstNet network. A federal law passed in February 2012 to help middle class families by creating jobs and cutting payroll taxes included a section mandating the creation of a nationwide interoperable broadband communications system for law enforcement and first responders. The system, which is being created under the direction of the First Responder Network Authority (FirstNet), seeks to create a nationwide broadband network capable of being used for a variety of law enforcement purposes including remote surveillance, mobile biometric applications like field fingerprint scanning and facial recognition, as well as automated license plate reading. The system is currently in a pilot phase with less than a dozen locations around the country participating in the initial rollout of the FirstNet network. However, comments from FirstNet board members indicate that the future goals of the system include an interoperable network operating in all 56 states and territories of the U.S. that is capable of integration at the state, local and federal level. FirstNet was created by the Middle Class Tax Relief and Job Creation Act of 2012 which mandates the creation of a “nationwide public safety broadband network” with a “nationwide level of interoperability.” Section 6203 of the Act mandated that a board of experts, in consultation with NIST and the National Telecommunications and Information Administration (NTIA), draft minimum technical requirements for the nationwide system. A board of directors comprised of telecommunications executives and law enforcement officials from around the country, including former Secretary of Homeland Security Janet Napolitano, was assembled and announced in August 2012. The public safety network being created by FirstNet has many positive applications, enabling police, firefighters, paramedics and other first responders to communicate more effectively, increasing coordination of emergency response efforts and increasing situational awareness. 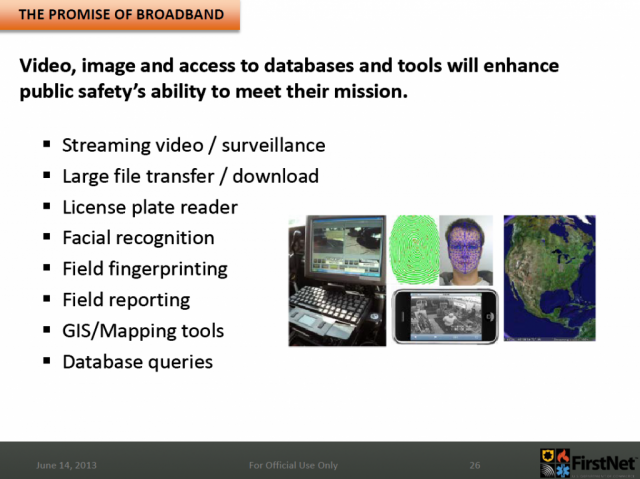 The network’s capabilities could potentially enable novel applications such as “enabling firefighters to download blueprints of burning buildings in order to plan their entry route” or “allowing emergency medical technicians to remotely access a victim’s medical records from an ambulance.” However, the network will also enable a number of capabilities that are concerning to privacy advocates including facial recognition technology, mobile iris scanning and fingerprinting devices, automated license plate recognition and much more. These capabilities will be facilitated by a network that is interoperable with federal and state authorities including the FBI, Department of Homeland Security and even the Army National Guard. There are less than a dozen locations around the country that are currently serving as test sites for FirstNet’s broadband network, including Mississippi, Colorado, New Jersey, New Mexico, North Carolina and California. These sites were selected because of their participation in the NTIA Broadband Technology Opportunities Program, which provides billions in dollars in grant money to local communities for broadband projects. In July, FirstNet issued 17 requests for information covering all aspects related to the construction of the network infrastructure. According to a presentation by FirstNet board member Ed Reynolds in June of this year, FirstNet will have a “diverse network architecture” with three main components: multiple terrestrial networks, including both dedicated public safety and commercial networks, mobile satellite systems as well as publicly deployable systems that could be installed in vehicles. Though still in its infancy, FirstNet’s work towards building an interoperable nationwide network has not been without controversy. In April, a FirstNet board member decried the fledgling organization’s overreliance on private sector consultants motivated by their own commercial interests. Sheriff Paul Fitzgerald of Story County, Iowa described FirstNet’s network as being “developed largely by consultants” with “board members having a commercial-wireless point of view” receiving more documentation and having more input over “board members with a public-safety point of view.” Fitzgerald also noted his concerns with the organization’s lack of transparency, saying that certain financial information was not being provided to all board members. “I worked hand-in-hand with [the] Public Safety Alliance for quite some time to see this network created, and I will not sit by and watch it built by my industry board-member colleagues in accordance with their commercial vision, rather than the vision of the public-safety users of the public-safety broadband network,” Fitzgerald said in a statement to his fellow board members. The creation of the FirstNet network is primarily intended to enable communication between first responder entities including police, medical response, firefighters. The system is intended to facilitate interoperable communication during disasters, mass casualty events and other catastrophic situations that could threaten traditional communications systems, such as the land mobile radio (LMR) systems currently used by emergency services. However, the broadband capabilities of the FirstNet network, based on the 4G LTE standard, enable entirely new applications of wireless technology for law enforcement. The high bandwidth network’s powerful capabilities enabling large file transfers and remote database access are already being explored by a number of companies seeking to create the next generation of law enforcement technology. One of the primary focus areas for companies seeking to exploit FirstNet’s capabilities is mobile biometrics. Until now, biometric identification using fingerprints or iris scans has remained a tool limited to the context of active war zones or high-security government facilities. FirstNet’s broadband network is set to change this by enabling police around the country to use mobile biometric devices to scan the fingerprints of suspects, scan their irises or even match their face against a central database of criminal mugshots. Promotional materials for FirstNet explicitly list the use of facial recognition technology and other biometric identification techniques as part of the “vision” and “promise” of the national network they are building. FirstNet lists the use of “specialized applications that allow police to quickly identify criminal suspects and accident victims through technologies such as facial recognition, iris scanning, and fingerprint identification” on the first page of its recruitment prospectus. 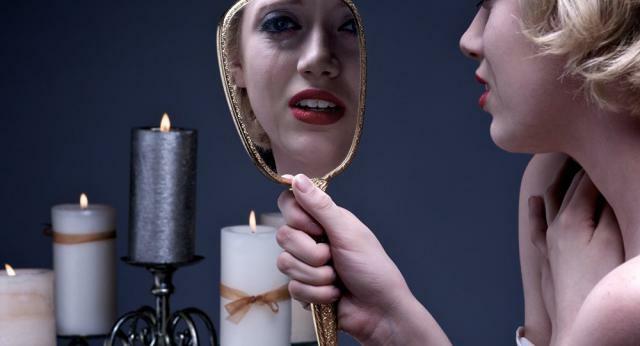 Did you know that according to Daniel Freeman’s study published in the British Journal of Psychiatry found that paranoid thoughts are common among normally functioning people? In fact, the study concluded that some dose of paranoia is actually quite adaptive and can serve to keep us safe from danger. What is about to be presented in this article should make one paranoid for when one considers why governments in the West, particularly in the United States, spend billions of dollars to spy on our actions, words, Internet browsing habits, places visited and even our thoughts, we should all be looking under our beds as the NSA is compiling a threat matrix score for every American. Will you be “red-listed” and is this a part of Jade Helm 15? The major concern conveyed to myself was the lack of specific, focused operational detail. It is as if the entire apparatus of the drill is to be activated prior to learning mission critical variables. In other words, the drill could be premised upon one set of guidelines and quickly be morphed into another more dire set of circumstances. These factors have given pause to some of the leadership’s conformity with this drill according to my sources. In fact, one of my sources said this fits the strictest definition of a “Snap” exercise which could go live. Therefore, if it is any comfort, there is discomfort among ARSOF’s leadership, at least in some circles. However, do not make the mistake of reading this as a victory for the citizens of this country. Soldiers carry out unpopular and disturbing orders every day. The moral of this story is that it appears to this author that ARSOF is not to be trusted with intimate operational details which will be revealed at a more opportune time at the behest of the forces behind the curtain. 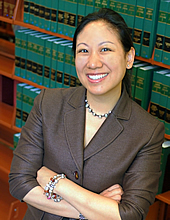 Professor Margaret Hu from the Washington and Lee University School of Law states that “The implementation of a universal digitalized biometric ID system risks normalizing and integrating mass cybersurveillance into the daily lives of ordinary citizens”. And when this system shows up in Jade Helm, we should all be worried. “A comprehensive, centralized, and technologically interoperable biometric database that spans across military and national security agencies, as well as all other state and federal government agencies. Once complete, NGI will strive to centralize whatever biometric data is available on all citizens and noncitizens in the United States and abroad, including information on fingerprints, DNA, iris scans, voice recognition, and facial recognition data captured through digitalized photos, such as U.S. passport photos and REAL ID driver’s licenses. The NGI Interstate Photo System, for instance, aims to aggregate digital photos from not only federal, state, and local law enforcement, but also digital photos from private businesses, social networking sites, government agencies, and foreign and international entities, as well as acquaintances, friends, and family members”. 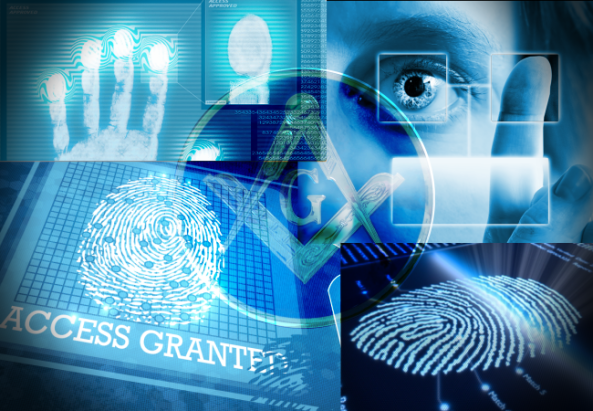 Biometric ID cybersurveillance might be used to assign risk assessment scores and to take action based on those scores“. The healthy side of your paranoia is about to emerge as we consider the fact that Professor Hu describes a DHS program known as FAST, which is a DHS tested program and has been described as a “precrime” program. FAST will gather upon complex statistical algorithms that will compile data from multiple databases and will subsequently “predict” future criminal or terrorist acts. The “precrime” data will be gathered” through cybersurveillance and stealth data monitoring of ordinary citizens. The FAST program purports to assess whether an individual might pose a “precrime” threat through the capture of a range of data, including biometric data. In other words, FAST accuses non-convicted individuals as being a security threat risk of becoming future criminals and terrorists through data analysis. No charges, no police interviews, the system is designed to become “judge, jury and executioner“. 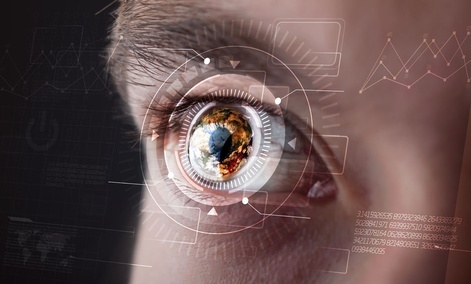 Under the Future Attribute Screening Technology (FAST), criminal cues are captured through the following types of biometric data including body and eye movements, eye blink rate and pupil variation, body heat changes, and breathing patterns. Various linguistic cues include the analysis of voice pitch changes, alterations in voice rhythm patterns, and changes in intonations of speech. Hu notes that in documents released by DHS clearly show that individuals could be arrested and face serious consequences based upon statistical algorithms and predictive analytical assessments. 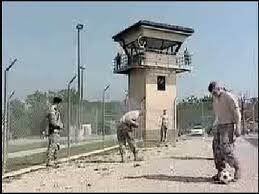 “The prognostications of FAST can range from none to being temporarily detained to deportation, prison, or death“. I am very nervous because this technology is a part of Jade Helm and their “extraction drills”. Unfortunately, the madness does not end with the FAST system. There is a new DHS funded multi-billion dollar spy tool and it is called FirstNet. This is a citizen information gathering device like no other. A company called New World Systems is in charge of implementing this system. 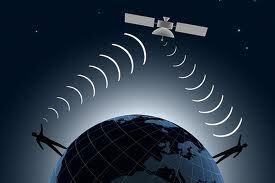 The Radio Access Network (RAN) part of this elaborate network consists of the radio base station infrastructure that connects to user devices including cell towers and mobile hotspots embedded in vehicles which connects to the satellite network or other types of wireless infrastructure. This is a “search and destroy system” as FirstNet is designed to hunt you down in remote areas. The extraction component of Jade Helm in rural Texas communities, is noteworthy when these two systems are considered with regard to the potential of these two systems to abuse American citizens. Firstnet is going operationally live just prior to the Jade Helm announced kick off of July 15th. Police officers, firefighters, paramedics, and other public safety entities need a dedicated nationwide wireless broadband network. They need a network that they can count on during emergencies and to meet their everyday missions”. This is about the disguised takeover of the Internet and all cell phone communications under the possible false premise of an emergency. Does the recent implementation of Net neutrality by the FCC make a little more sense now? When we go into martial law, communications will be suspended so potential dissidents cannot warn one another and you have just learned how they plan to accomplish this communications blackout. Firstnet boasts a map along with the embedded graphics from the FirstNet website. From this, it is easy to conclude that they have developed the technology to track you and find you should you be a fugitive from their own special brand of justice. RAN has the ability to track you anywhere on the planet. Soon, there will be nowhere for people with high threat matrix scores to run and hide without being found by this system. These two technologies are a part of Jade Helm 15. As we move closer to July 15, more operational details will emerge. However, I have seen enough to know that Jade Helm 15 is very draconian and should serve as a threat to every American. The operation circumstances related to the roll out of Jade Helm frightens the hell out of me. Some state revenue agencies and motor vehicle departments are receiving federal funds to verify the smartphone selfies of taxpayers, say government and corporate officials involved. Individuals residing in North Carolina and Georgia will be allowed late next year to download a facial recognition app -- for selfie matching -- that should bar others from claiming tax refunds in their name. "They do a fantastic job of in-person proofing someone's identity, and that's a necessary step to get into a high-level assurance for any kind of electronic credential that you might want to issue," Mark DiFraia, a senior director at biometric technology provider MorphoTrust, said in an interview. Now that so much of our personal information is readily available online, confidential biographical data alone is not enough protection against ID theft, experts say. In August, the federal government disclosed that crooks gamed an Internal Revenue Service online tool, by entering stolen private information on about 334,000 individuals, and filed for $39 million in fraudulent refunds. Earlier this year, TurboTax temporarily unplugged state return e-filing after several states reported criminals using false identities to attempt to collect refunds. But come late 2016, thousands of state residents will be able to block anyone from filing for their refund who does not have the same facial features, personal information and driver's license, according to officials. The new service will be offered as a preemptive measure for the tax season that begins Jan. 5, 2017. An individual downloads a MorphoTrust app that will be available on many types of smartphones. The user scans the barcode on the driver's license with the phone. The person uses the phone to take a picture of the front of the license so the DMV can verify it is a valid card. And, then "they actually take a selfie," by bringing the camera up and taking a self-portrait, DiFraia said. The taxpayer consents to having the barcode scan and pictures cross-matched with data in the DMV's records. The images transmitted are not stored by MorphoTrust, the DMV or the state tax collector, DiFraia said. The DMV is not sharing any personal information in its records with the tax collector. The revenue agency only receives a confirmation or denial of a match. The selfie stays on the user's phone. "This whole service is built from the core with privacy and consent as their key tenets," DiFraia said. "We're not giving DMV any data they don't already have." The trial aims to sign up at least 75,000 individuals across both North Carolina and Georgia. A federally funded, industry-led initiative to secure online transactions with credentials other than passwords has granted the project $1.8 million, officials announced this week. H&R Block also is a partner in the selfie-authentication effort. Mike Garcia, acting director of the National Strategy for Trusted Identities in Cyberspace National Program Office, tells Nextgov the service "creates this sort of componentized separation, so the interaction that is occurring with the DMV is completely distinct from the interaction that's occurring with the department of taxation of revenue. That's intentional. That's, from our view, a privacy feature." As of now, federal-level tax returns are not part of the project. "We do not have any plans with the IRS as of yet for this solution," DiFraia said. "But we're optimistic that what we're demonstrating and the ideas contained within the grants would be interesting to them and something that they might consider as a way of providing users with another option where they can proactively do something to try to mitigate the risk of this kind of fraud." The IRS paid out $5.8 billion to criminals in 2013, according to the Government Accountability Office. When ID bandits struck TurboTax earlier, H&R Block reportedly said there was no indication of a similar problem with its tax returns. H&R Block's security safeguards included requiring a federal e-filed return to be accepted by the IRS before transmitting a state e-filed return. With TurboTax, it was possible to file a state return online without sending a federal return. This is not H&R Block's first foray into biometrics. On Aug. 31, the tax software provider announced a partnership with the Transportation Security Administration to house fingerprinting kiosks in H&R Block offices where customers can enroll in TSA's PreCheck expedited screening program. Garcia said of the taxpayer verification service, "if done right, it's actually about putting less information out there." The data already captured at the DMV, eliminates the need for "going through another proofing event with the office of taxation and revenue," he added. 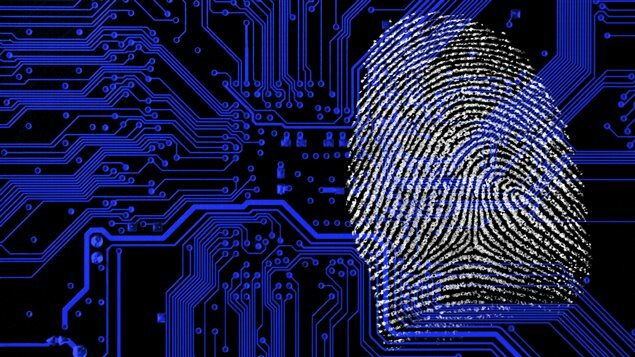 Some privacy advocates questioned an anti-fraud program that relies on biometric databases, especially as the Office of Personnel Management just announced the compromise of fingerprints of millions of national security workers. In the taxpayer security situation, “here, I guess the issue is face recognition—but if I can make my phone send a picture of you, is that enough?” he wondered. TRANSPORTS - Le gouvernement a annoncé lundi 19 octobre un train de mesures pour renfoncer considérablement les contrôles et les fouilles dans les transports en commun, après l'attaque déjouée dans le Thalys en août. Une proposition de loi sur ces mesures sera bientôt déposée par le député PS Gilles Savary pour être examinée le 18 novembre en commission et le 23 en séance de l'Assemblée nationale. Le gouvernement espère l'adoption de cette proposition de loi au printemps 2016. Afin de lutter de manière plus efficace contre les "actes terroristes" et les "atteintes graves à la sécurité publique" des usagers, les agents de sécurité de la SNCF et de la RATP pourront désormais, avec l'accord des passagers, fouiller les bagages ou procéder à des "palpations de sécurité", ont annoncé le ministre de l'Intérieur, Bernard Cazeneuve, et le secrétaire d'État aux Transports, Alain Vidalies. Si le passager refuse de s'y plier, il ne pourra emprunter les transports. Même chose pour les policiers et les gendarmes, qui ne pouvaient jusque-là fouiller les bagages des passagers qu'en cas de délit. Les agents de la RATP et de la SNCF pourront également travailler en civil. Le gouvernement a en outre décidé de simplifier les règles de compétence des procureurs de la République pour faciliter ces contrôles. Il fallait auparavant l'accord de tous les procureurs concernés par un train passant par plusieurs régions par exemple. Ces mesures font suite à l'attaque déjouée à bord du Thalys le 21 août. Un homme armé avait tenté d'ouvrir le feu dans un Thalys reliant Amsterdam à Paris, avant d'être désarmé par des passagers. Il y avait eu deux blessés. Le gouvernement a aussi décidé d'intensifier la lutte contre la fraude dans les transports en commun, dont le coût annuel est estimé à 500 millions d'euros, ont annoncé les deux ministres à la presse, à l'issue d'un Comité national de la sécurité des transports qui s'est tenu place Beauvau. Il a été décidé que les états-civils et adresses des contrevenants pourront être communiqués par les administrations des finances et des organismes sociaux, ce qui relevait auparavant du secret. Le délit de fraude dit "d'habitude", qui était constitué à partir de dix contraventions sur un an pour défaut de titre de transport, sera désormais constitué dès cinq contraventions. • Attaque dans le Thalys: la sécurité dans les trains en question ? S’arrêter, ouvrir son sac pour en dévoiler le contenu, déboutonner son blouson, répondre à quelques questions... Autant de gestes devenus quasi quotidiens depuis les attentats du 13 novembre, lorsqu’on croise un agent de sécurité à l’entrée d’un grand magasin, d’une salle de spectacle, d’un musée... Mais faut-il vraiment s’y plier devant une école maternelle ? La réponse ne fait pas l’unanimité parmi les parents d’élèves d’un petit village - 2 800 âmes - de la périphérie de Lyon, dont on ne dévoilera pas le nom pour préserver ce qu’il lui reste de tranquillité. Fouille des sacs, des poussettes et des porte-bébé ; contrôle des vêtements, ceux des parents, des nourrices... voire ceux des enfants : le "pire" n'est pas arrivé tout de suite, mais quelques jours après les attentats, explique un père de famille. "Tout ça fait de manière un peu aléatoire, parfois par un agent municipal, parfois par la directrice de l’école en personne", affirme-t-il. Il ne décolère pas d’avoir vu son fils de 4 ans et demi obligé, dit-il, d’ouvrir sa parka avant d’être "palpé": "Que recherche-t-on quand on inspecte le sac à dos d’un enfant ? Qu’espère-t-on trouver hormis un goûter, un doudou pour les plus petits, quelques livres pour les plus âgés?" Le rectorat nie tout "excès de zèle"
Dès le lundi 16 novembre, les parents avaient découvert les premières mesures de sécurisation en accompagnant leurs enfants en classe. Elles les ont d’autant plus émus qu’elles concernent des enfants de maternelle, de 3 à 6 ans, un âge que l’on aimerait préserver des affres de l’actualité. "Impossible d’accéder aux classes, il nous a fallu laisser nos enfants devant la grille sans consigne claire", raconte ce père. Une mesure qui heurte dans cette "petite école" où le lien parents-enseignants, les "transmissions" entre l’univers de la maison et celui de la classe (et inversement) comptent beaucoup. Sollicitée, la directrice de l’école ne nous a pas répondu. Quant au rectorat de Lyon, il reconnaît l’"émotion de certaines familles qui regrettent que l’ambiance ne soit pas plus rassurante, plus sereine", mais nie tout "excès de zèle" de la part de l’équipe enseignante. Dans ce petit coin tranquille des Monts d’Or, ce ne sont pas les enseignants mais le maire du village qui a pris l’initiative de pousser la vigilance plus loin que les consignes émises par l’éducation nationale après les attentats - celles-ci préconisant, pour l’essentiel, un contrôle de l’identité des personnes étrangères aux établissements et, éventuellement (pas obligatoirement) un contrôle visuel des sacs. "Si des terroristes ciblent une école, nous, au moins, au aura tout tenté pour les dissuader"
L’édile - sans étiquette -, par ailleurs ancien président d’une association de parents d’élèves, l’assume : "J’ai voulu que la réponse sécuritaire soit la même à l’entrée de tous les bâtiments publics du village, salle des fêtes, salles associatives... et écoles : que chaque adulte accepte d’ouvrir sacs et manteaux." Il conteste en revanche toute "fouille corporelle", a fortiori des enfants. "Il y a eu l’époque d’avant [les attentats du 13 novembre], il nous faut accepter cet après, martèle le maire. Si des terroristes ciblent une école demain, nous, au moins, au aura tout tenté pour les dissuader de frapper ici." A son crédit, dit-il, le soutien de la majorité des familles : "Il y a 350 enfants scolarisés dans notre village, et c’est une poignée de parents - toujours les mêmes - qu’on entend râler... Ce sont les querelles de clocher, politiques, qui résonnent au sein de l’école." "On lui avait expliqué, en classe, qu’il y avait des 'méchants', que ceux-ci pouvaient se déguiser en parents..."
Une poignée de familles, sans doute, mais très remontée. "Après les attentats, on a tous été très mal, on a tous eu très peur... Pourquoi en rajouter en diffusant un message et des pratiques anxiogènes ? L’état d’urgence ne justifie pas tout", s’indigne une mère de trois enfants, opposée à ces "contrôles humiliants". Des contrôles que les enfants, même très jeunes, ne peuvent pas ignorer. "Mon fils, en grande section, m’a rapporté qu’on lui avait expliqué, en classe, qu’il y avait des 'méchants', que ceux-ci pouvaient se déguiser en parents... mais qu’heureusement, dans l’école, ils étaient en sécurité", témoigne un père, déconfit. Des mots d’enfants, soupire-t-il, mais qui pour lui en disent long sur ce climat post-attentats qui peut voir la peur l’emporter sur la raison. Pour la fédération de parents FCPE comme pour le syndicat SNUipp-FSU (majoritaire parmi les instituteurs), ce cas semble bien isolé. "Globalement, chacun entend le principe de vigilance accrue, explique Sébastien Sihr, du SNUipp, même s’il est certain que l’application doit se faire avec discernement et en bonne intelligence. Tout ne peut pas reposer sur les enseignants. Ils n’ont pas à se transformer en agent de sécurité ou de la circulation !" Dewji is a very vocal, self-proclaimed Muslim Shia, and Hijabi who is a contractor working with U.S. Customs and Border Protection (part of the Dept. of Homeland Security). La dictature s'installe de plus en plus en France et en Europe. Vous croyez encore que l'état d'urgence disparaîtra comme ils nous l'ont dit? (NaturalNews) It was nicknamed the "Fingerprints for Food" program, but it represented a dire new twist in the ongoing struggle for the socialist Venezuelan government to provide basic nourishment and products for its citizens. As reported by the Miami Herald in May 2014, President Nicolas Maduro ordered the implementation of biometrics to allow the government to track what customers of state-owned grocery stores were purchasing and, perhaps as importantly, how much. Maduro, the paper reported, said that the measure was necessary to prevent hoarding, and to help keep price-controlled food from being resold at a profit. Even then, food was increasingly in short supply, and that was before global oil prices collapsed due to a glut; Venezuela receives 95 percent of its revenues from oil. In order to convince hungry Venezuelans to voluntarily register for the program, Food Minister Felix Osorio promised that anyone who signed up and give the government their fingerprints, would be eligible for discounts and prizes. The scheme was not made mandatory when it was first implemented, but critics warned that it would become just another way for the state to keep tabs on its people, and could even serve as a precursor to rationing. 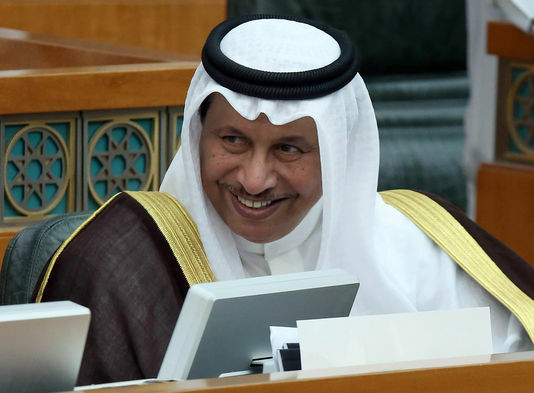 The initiative, called the Superior System for Secure Supplies, comes amid a raft of economic measures rolled out amid anti-government protests that have dragged on for almost two months leaving at least 39 dead on both sides of the political divide. The program came amid some of the worst inflation suffered by Venezuela at the time (it has only gotten worse since). "This is a government that attacks the people not only with weapons but with the worst tax: inflation," Luis Florido, a national officer of the Voluntad Popular opposition party, told the Herald at the time. "The government is creating economic [chaos] for the people of Venezuela." 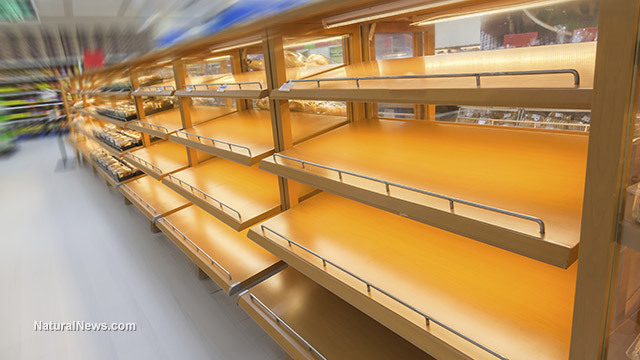 In January 2015, NaturalNews reported that food shortages had become so commonplace in Venezuela, that consumers were forced to wait for hours in food lines, with many opting to sleep in line so as not to lose their place. In addition, Maduro, by then, was also forced to deploy the Venezuelan army to keep peace and ensure social stability at state-run stores. By August of last year things had not improved much. As The Wall Street Journal noted, violence permeated the country, punctuated by the torching of a National Guard command post that was set aflame by a "mob infuriated by worsening food shortages." After they burned the command post they rammed trucks into the smoldering ruins, reducing it to a pile of rubble. That incident was just one of many throughout the country, mostly brought on by chronic shortages of basic foods, goods and products. "What's certain is that we are going very hungry here and the children are suffering a lot," Maria Palma, a 55-year-old grandmother, told the WSJ. On that day she had awakened at 3 a.m. to go stand in a food store line, which she finally abandoned around noon – empty-handed. One non-profit group recorded more than 500 instances of violent protests throughout Venezuela, along with 56 instances of looting, and scores of attempted lootings of grocery stores, pharmacies and warehouses – all in the first half of 2015. Even delivery trucks were targeted. "It's a national crisis," Marco Ponce, head of the Venezuela Observatory of Social Conflict, the non-profit group that did the study, told the WSJ. Posted: Thu 10 Mar - 02:06 (2016) Post subject: THE LA TIMES JUST ANNOUNCED THE "ROLL OUT" OF THE BEAST SYSTEM. THE LA TIMES JUST ANNOUNCED THE "ROLL OUT" OF THE BEAST SYSTEM. LA Times arrticle about how Wells Fargo will be having its commercial customers use eye/thumbprint/voiceprint biometrics to access accounts via a smart device. Posted: Mon 11 Apr - 06:40 (2016) Post subject: LES PRODUITS DE BEAUTE, LA NOUVELLE ARME SECRETE DE LA CIA? LES PRODUITS DE BEAUTE, LA NOUVELLE ARME SECRETE DE LA CIA? Les services spéciaux américains manifestent un intérêt particulier pour une gamme de produits de la société Skincential Sciences qui possède une technologie permettant de prélever des marqueurs biologiques uniques, annonce Intercept. 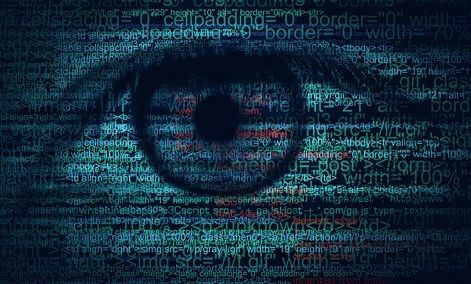 Des tests ADN utilisés pour tracer les gens, les services spéciaux qui prélèvent les matériaux biochimiques pour nous surveiller, ce n'est pas le scénario d'un nouveau film d'espionnage, mais une perspective qui pourrait être tout à fait réelle. Le fonds américain de capital-investissement In-Q-Tel, créé et géré par la Central Intelligence Agency (CIA), a décidé d'investir dans l'élaboration d'une gamme de produits de beauté de la société cosmétique Skincential Sciences, annonce le site Intercept. Clearista, marque de Skincential qui a éveillé ce vif intérêt du renseignement américain, élabore des produits qui purifient et rajeunissent la peau. Mais apparemment, ce n'est pas la peur de voir les premières rides apparaître sur les visages de ses employées qui a poussé la CIA à débourser de l'argent. La société a créé une technologie qui permet d'enlever en douceur une fine couche de la peau du visage. Lors de cette procédure se libèrent des marqueurs biologiques qui sont uniques pour chaque personne et qui peuvent être utilisés pour en dégager l'ADN, observe Intercept. De la sorte, la CIA pourrait détenir entre ses mains une technologie permettant de recueillir les données biochimiques des gens. Le renseignement américain s'est d'ailleurs dit "particulièrement intéressé par le diagnostic, la détection de l'ADN de la peau", ajoutant qu'il n'y a pas de meilleur identifiant que l'ADN et qu'il est sûr de pouvoir le dégager, indique Russ Lebovitz, le chef de la société. Intercept rappelle que In-Q-Tel a été créé en 1999 par George Tenet, alors directeur de la CIA. La société surveille les dernières innovations technologiques dont les services spéciaux pourraient s'armer. Secret agents typically use tracking devices to monitor foreign adversaries, but now, U.S. spies will assess their own capabilities by outfitting (willing) intelligence personnel with body sensors. Yes, spies have plans to spy on themselves with wearables. "Selecting and evaluating a workforce that is well-suited for the psychological and cognitive demands of the diverse positions across the intelligence community is an important and persistent need," states a pre-solicitation notice for interested testers. To tackle this staffing challenge, the Office of the Director of National Intelligence will embark on MOSAIC, and harness "mobile, worn and carried sensors” for friendly signals intelligence. The program will measure volunteers' biometric signals during their daily activities, according the Intelligence Advanced Research Projects Agency, the test lab of ODNI. The biofeedback captured will relate to behavior, physiology, social dynamics, physical location and proximity, among other data sources that all will be aggregated, officials say. This might not seem like the most novel idea from an agency whose mission is taking big risks for high payoffs, like predicting the future. Corporations already are taking the pulse of employees with Fitbits and other health-monitoring devices to boost productivity. But IARPA's program is a bit more ambitious, it seems. MOSAIC expects to allow intelligence agencies "to evaluate an individual’s psychological drivers, cognitive abilities and mental wellness and resilience," the program announcement states. Body diagnostics should help intelligence agencies "select the right person for the right job," as well as "evaluate and help maintain optimal performance throughout their career," IARPA officials say. There also is a prediction factor to the personnel evaluation program. Data from digital accessories is expected to "anticipate changes in an individual that may impact their work effectiveness, productivity and overall health and wellness," officials say. With a program as intimate as this one, test subjects must provide informed consent to participate. The intrusiveness of employee body-monitoring is an issue the corporate world currently is grappling with. Edward McNicholas, co-leader of privacy, data security and information law at law firm Sidley Austin, recently told the Wall Street Journal that employers should take into consideration employees' physical or mental differences when rating performance based on Fitbit metrics, Apple watch sensors and such. "If the results of this sort of tracking led to discrimination against persons with conditions ranging from insomnia or depression or ADHD," organizations should adjust biofeedback evaluations, he said. "We should not deny ourselves the potential benefits of these technologies by banning them,” but keep a close eye on the abuse of data from wearables so "that they do not become new ways of discriminating against people." During the MOSAIC program, there will be privacy safeguards in place, as well as legal, ethical and safety precautions, IARPA officials said. Plus, researchers will study whether the body signals of an individual, in a number of situations, across time, have "convergent validity," or are a credible source of information, officials said. The program is so focused on factoring in context that the word is part of its title. “MOSAIC” stands for "Multimodal Objective Sensing to Assess Individuals with Context." The program will "test a suite of multimodal sensors to collect a range of subject-focused and situational data; build capabilities to develop an integrated model of the subject, their behaviors, and the social and physical context; and advance methods to personalize modeling approaches to develop accurate assessments of an individual over time," the announcement states. Researchers also will evaluate the social environment and physical surroundings of the person to help interpret the results of the sensors. IARPA will hold an Aug. 2 workshop in the Washington area for interested academic and industry researchers. Dans le cadre d'un partenariat avec la banque Caire Amman Bank, en Jordanie, le Haut-Commissariat de l’ONU pour les réfugiés (HCR) utilise une technique de biométrie permettant d’enregistrer puis de reconnaître individuellement chaque réfugié en prenant « l’empreinte » de l'iris de son œil pour lui allouer des fonds. Les réfugiés peuvent ensuite retirer de l’argent sur leur compte au guichet en se faisant scanner l’iris. Le système communique automatiquement avec la base de données enregistrée par le HCR pour confirmer l'identité du réfugié. Do you think they can also do this to be able to forge false allegations against us ? Police had the fingerprints of the murder victim from a previous arrest, which they gave to the lab to 3-D print in a bid to unlock the device—a Samsung Galaxy S6. Unsure which finger was paired to the phone, the lab printed 2-D and 3-D replicas of all 10 of the slain man’s fingerprints. None of them unlocked the device, so the team then digitally enhanced the quality of prints by filling in the broken ridges and valleys. Rather than opting for a more expensive 3-D model, they printed new 2-D versions using a special conductive ink that would create an electrical circuit needed to spoof the phone sensor. After multiple attempts—thanks to the device not requiring a passcode after a certain number of efforts—the team successfully unlocked the phone with one of the digitally enhanced 2-D prints. An MSU spokesperson told Quartz there were plans to print 3-D models to test on other devices—there was no need to do so for the victim’s phone, as the 2-D print was successful.